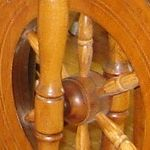 It is February, 2010 and I have taken on the task of building a web site for the Spinning Guild. Webs site Builder seems like a good location to put it. I am not so familiar with the Blogging and Forums and other social networking things available now a days so there will be a learning curve. This is my first Blog entry. I have invited our President, Ina to join in the member area just for practice to see how it works. I will then invite all the members to join if it turns out ok.
Uploading pictures works well and editing the site is easy to figure out so far. April 1 We have ten members signed up so far. that is about half of the members in lthe group. I will try to put up a few more. It would be nice to see some photos on the members page.